So in a week I've managed to bake 4 cakes. Luckily for the waistline, I've only tried a slice or 2 of each. This weeks offering came from watching Week 1 of the Great British Bake Off . 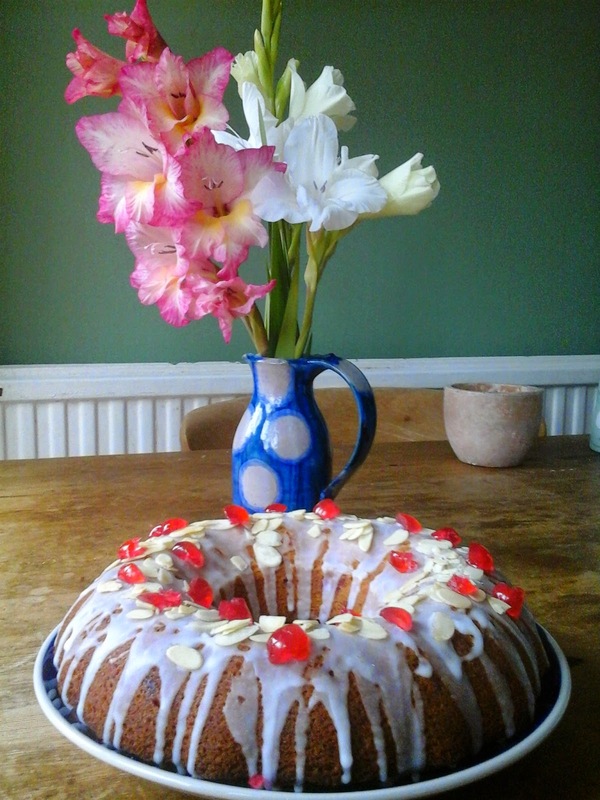 As it was Cake Week, Mary Berry's Cherry Cake was the choice for the Technical Challenge. The technical side of it was knowing what to do with the cherries as Mary DID NOT want them all to sink to the bottom. 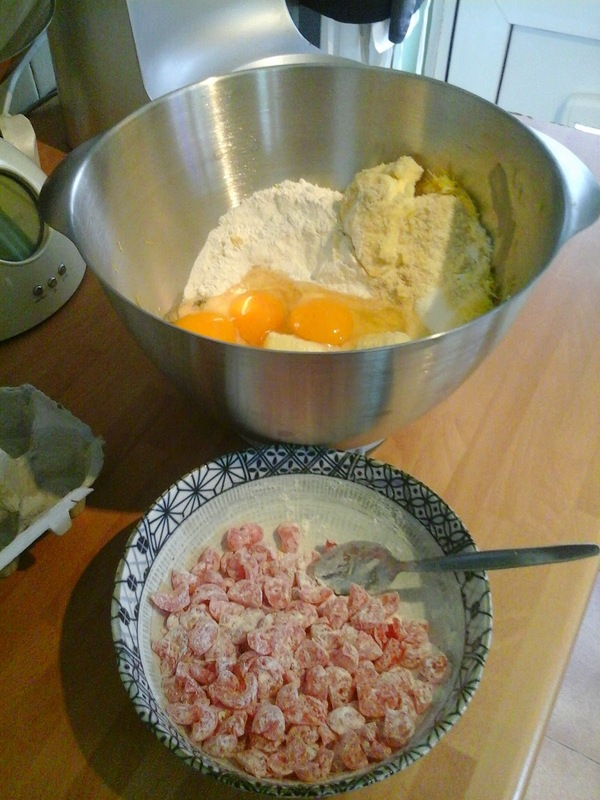 To prevent this you quartered each glace cherry (reserving 5 cherries for decoration), rinsed them under cool water, drain and dry well, then toss in 2tbls of the required flour. Its a new tip for me and might also work when you put fresh fruit in a cake batter as it often sinks. Removing the glaze and tossing in flour helps them stick to the batter, rather than 'slipping' through it whilst baking. 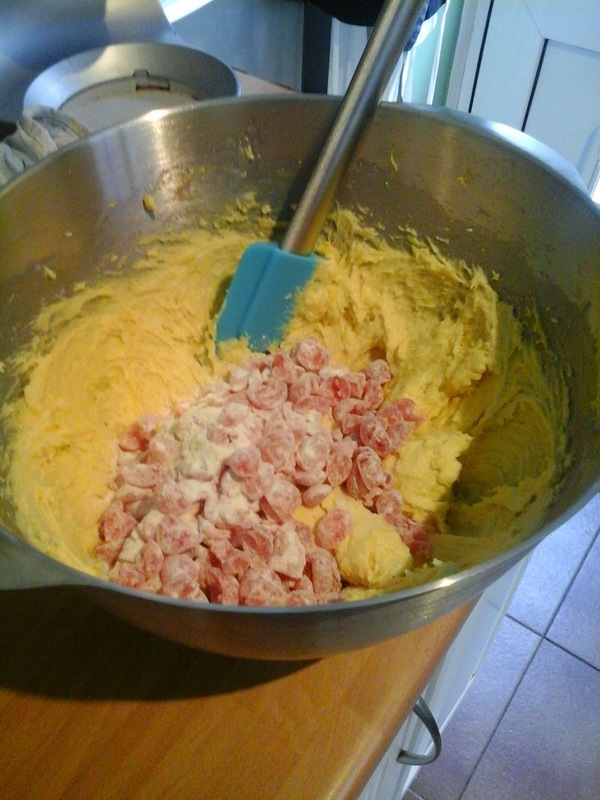 The remaining batter ingredients are placed in a bowl and blended together for 2 minutes until smooth. 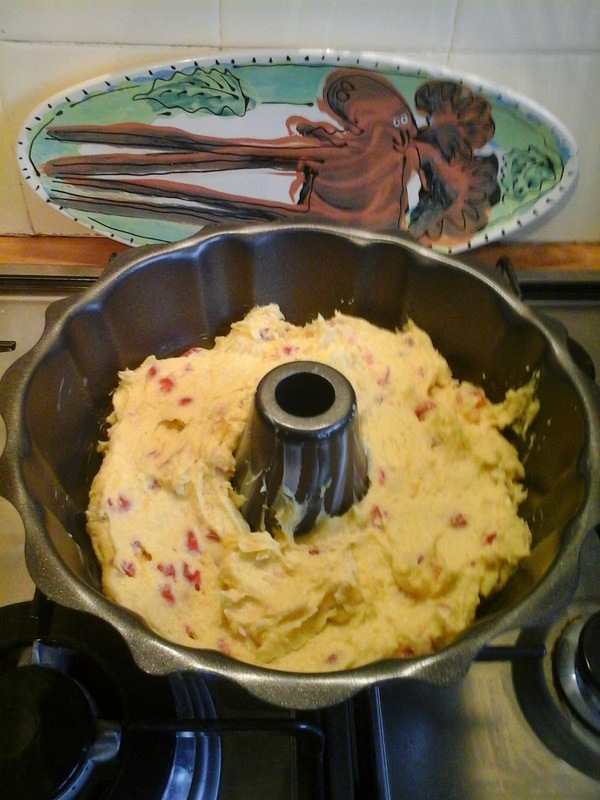 Then gently fold in the prepared cherries and scrap into a buttered Bundt tin. 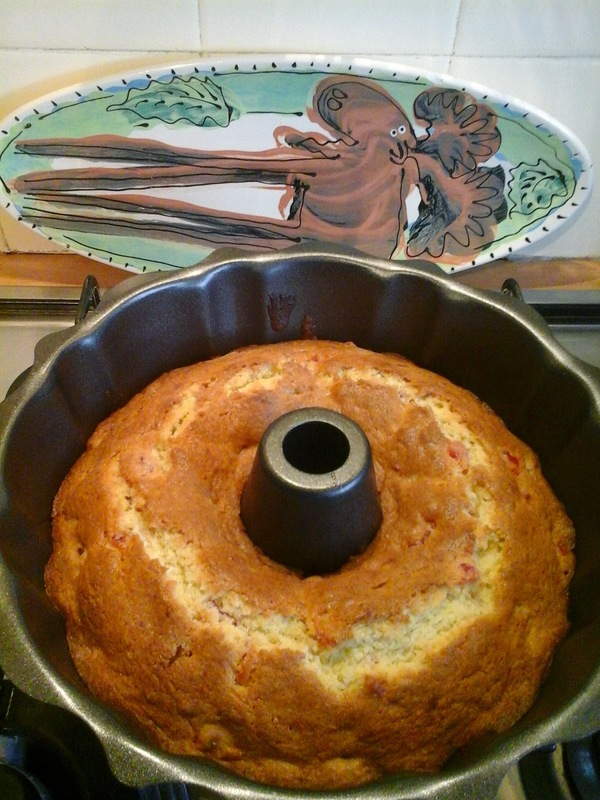 The recipe asks for a 23cm tin, but mine is 25cm, so will create a wider, but not so deep cake. Pop it in a pre-heated 180c static oven. Now time to pour a G&T and sit back and relax while it bakes. Wouldn't do that on Bake Off would you! 35 minutes later it came out the oven nice and golden. 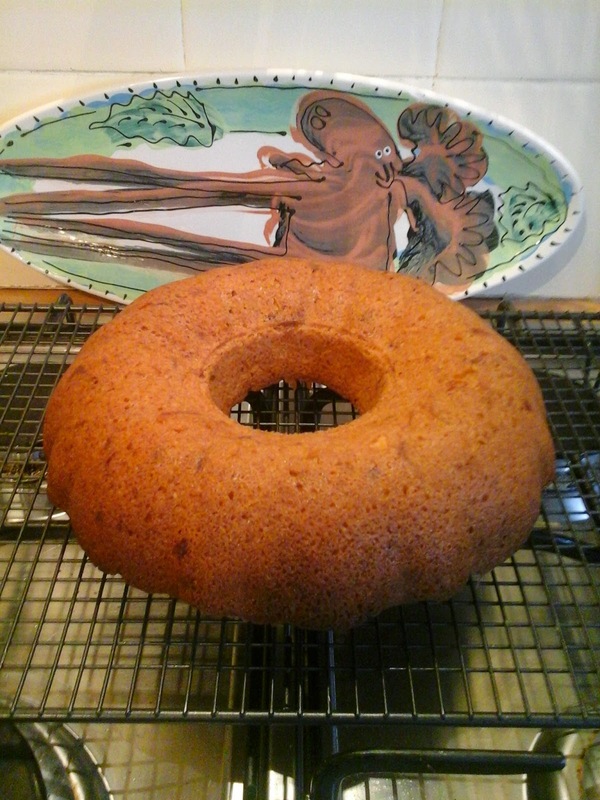 Allow to cool for 15 minutes in the tin before turning out to cool completely. The icing was a simple mix of icing sugar and lemon juice, though as the recipe states the juice of 1 lemon, don't add it all at once. Lemons vary in size and juiciness. My icing could have been slightly thicker, but I'm happy with it. Also a good tip is put a plate or kitchen paper under your cooling rack to catch the icing that inevitably drips off the cake! Adorn with the remaining cherries and flaked almonds and voila! The destination for this cake was for after my Running Clubs Annual Charity Relay Race around Hayling Island. A bit more crumbly than expected (probably due to the ground almonds in the batter), but pretty tasty, I didn't get to bring much home. 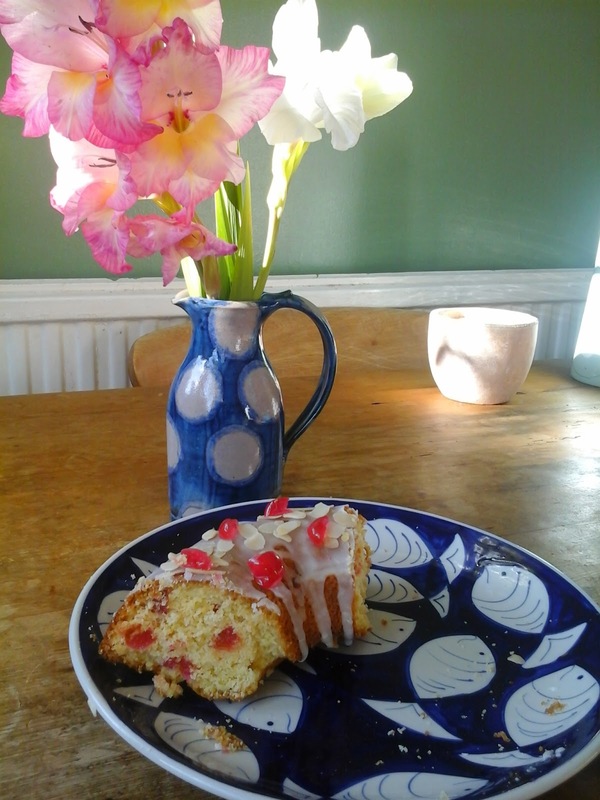 AND the cherries were well distributed throughout the cake I think. Would I have passed the Technical Challenge Mary??? A variation of this recipe can also found in Mary Berry's Baking Bible using a round tin, instead of a Bundt tin.